When I first started dreaming up this shoot I was in the middle of a “Mad Men” marathon. I got to thinking about the style of the era and how effortless and really how hip everything and everyone was back then. The next thing I know I was immersing myself in all things mod. I am a fan of nostalgia and this theme let my imagination run wild. I took inspiration from the music, fashion, and of course the motor scooters that were so important to that time period and was able to create such a fun and beautiful day! 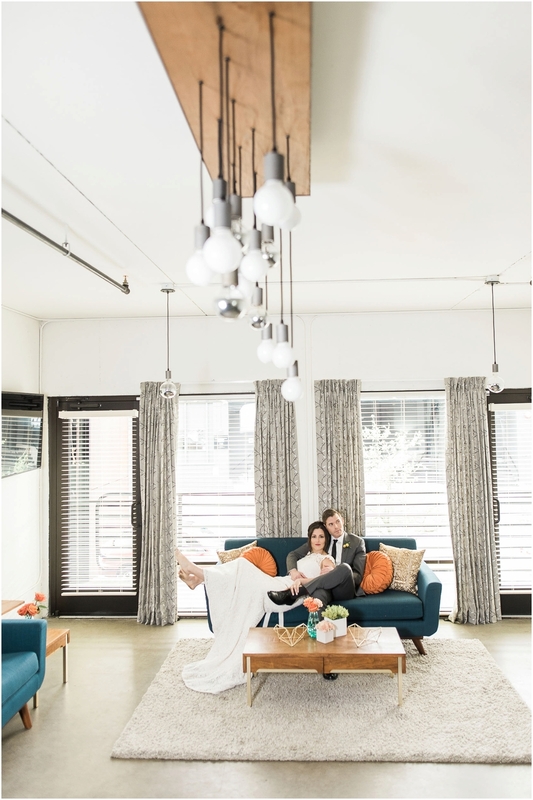 Becca of B. Jones Photography captured all the lovely details and colors of this shoot to perfection. I wanted the whole day to be evocative of the mod era, but to also be relevant and translate to the weddings of today. 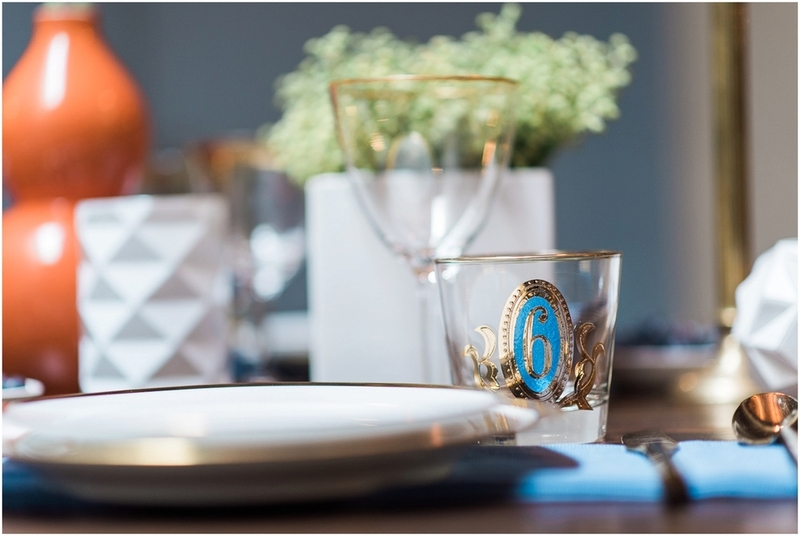 What we were able to put together was something chic and timeless with just the right amount of whimsy! The Fremont Foundry was the ideal location for a shoot like this. 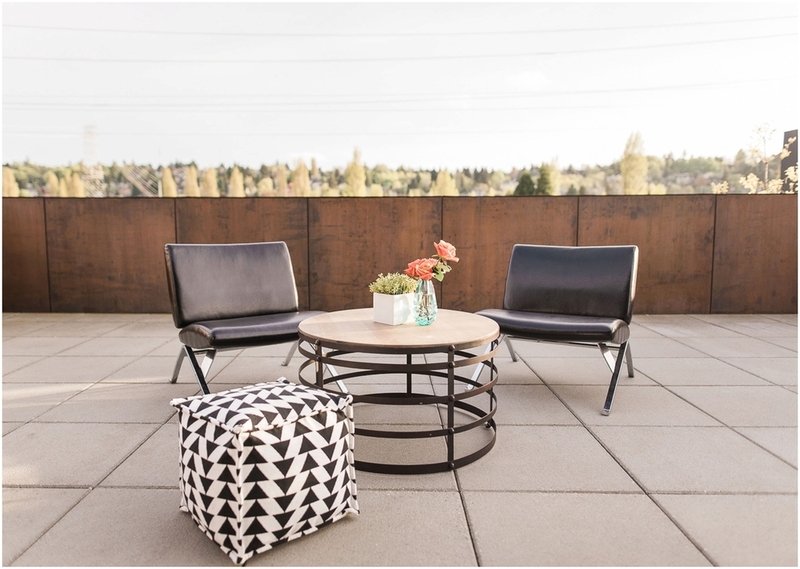 It is gorgeous and versatile and on top of that they already had a plethora of mid-century modern furnishings on hand. We were lucky enough to get to play with not one, but two lovely bridal gowns thanks to Belltown Bride. A tea length Stella York stunner and a classically structured sheath number by Amy Kuschel. The icing on the cake was the beautiful blue Vespa that Vespa of Seattle dropped by with that made from some extra dreamy pictures. Oh, and what would a mod shoot be without cocktails? Happy Camper Cocktail Co. selected a bride’s drink, a groom’s drink, and fun drink to pair with the cake! They gleefully mixed and served fresh garden to glass cocktails with a vintage flair for the day. 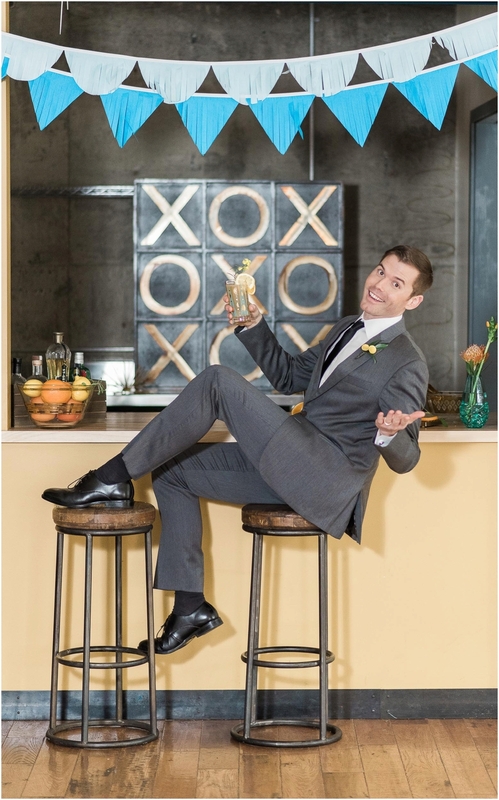 The groom's Old Fashioned is a floral take on the classic for whiskey lovers while the bride sipped a light citrus cocktail that keeps guests refreshed well through dancing. Served alongside the cake, the Bee Keeper is an herbal variation of the prohibition cocktail the Bee's Knees, and brings to the celebration an extra dose of color and cheer. Cocktails are meant for sharing and Happy Camper Cocktails was kind enough to share the recipes for both the cocktails with us below. I can personally vouch that the Bee Keeper is truly the bee’s knees! In a lowball glass, top sugar with a few dashes of bitters, stir with cocktail spoon until dissolved. Top with whiskey and liqueur, stir gently. Drop in one large ice cube (make them easily by using your muffin tins.) Finish the drink with a twist by holding the lemon peel with the pith (white) side facing towards you directly over the glass, twist your right hand once counterclockwise, and then drop the peel into the glass.